We understand the importance of giving back and our community has raised, and donated $21,570.30 back to charities and not-for-profits. 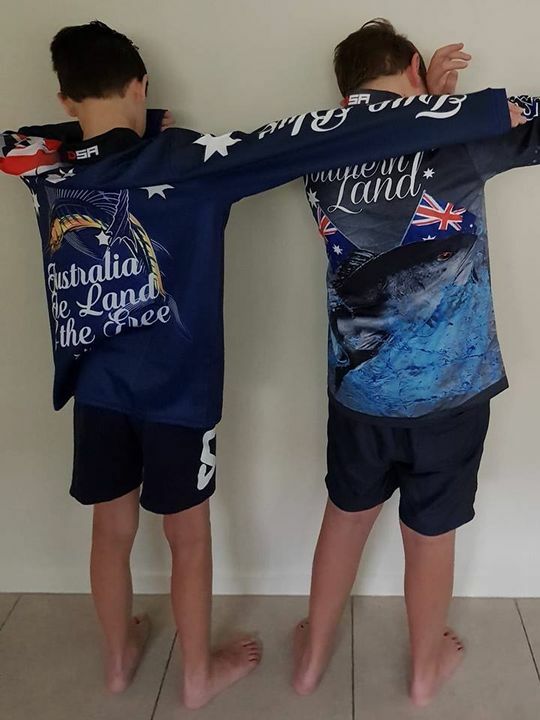 Great quality fishing shirt, will be great for my son for Australia day. Fast Delivery and due the sale great price. Would like to see kids sizing or at least an extra small. Nice shirt , have bought set of the Anzac shirts and the true blue fishing shirt. Only problem ....having to wait so long for delivery. You are in Queensland and I'm in Melbourne. Yet It was like I ordered from overseas, cause That's how long I had to wait. I rated it a five , cause it is a great shirt. Not because of delivery. Regarding the shipping time, we made the "True Blue" collection an exclusive and each order was custom made. That's the reason for the delay. We always put the delivery times with each product etc. We like to keep our designs limited edition, and not bulk produce, however we're now working on a new system for 2019. Thank you again for the support, and have a great Christmas.